You work hard to get the job done, no matter where the job takes you. The 14" ThinkPad L480 has the versatility, power, and portability to keep up - and to make your job easier. The perfect business partner! Your IT staff will rest easy with the optional infrared camera and touch fingerprint reader, knowing they give the L480 greater security. And it's been fully redesigned for productivity, meaning IT won't have to listen to complaints about a slow laptop. The discrete graphics option gives users greater ability to do more without additional strain on the CPU. And its mobility is enhanced by its global LTE-A WWAN, offering more connectivity in remote places, and by the RapidCharge function, allowing users to get up to an 80% charge in just an hour. 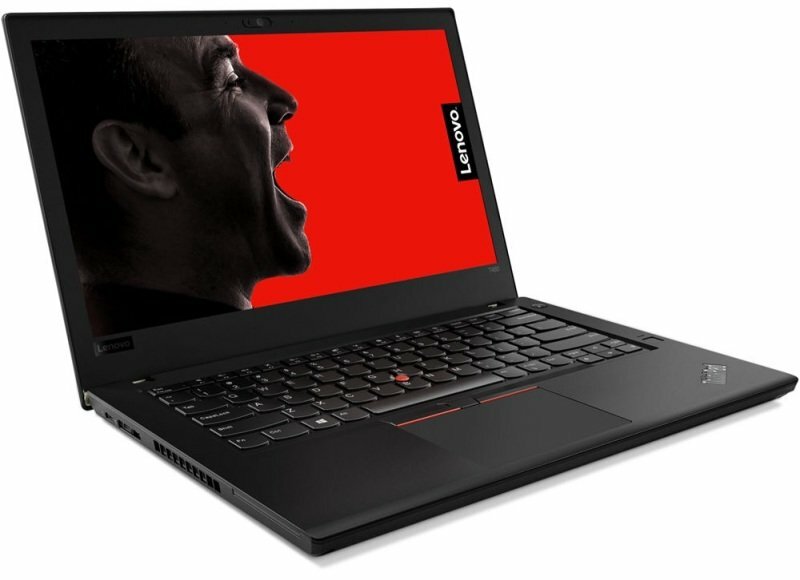 The L480 will make your employees' jobs easier, a favour they will return to your IT department. Additional details on these features are available below. The L480 will take on your full workload, thanks to the latest Intel® Core™ processors (with optional Intel® vPro™ technology for advanced security and manageability), a choice of the fast file access of SSD storage or the high capacity of HDD storage, and great memory capacity. Its 2x2 AC WiFi, LTE-A, and full array of ports will keep you connected to the internet and a variety of external devices. And inputting commands is a breeze with optional multitouch display. Get ready to have a much shorter to-do list. The L480 was built for the road warrior. At 13% lighter and 8% thinner than the previous generation, it will go anywhere with ease. Its optional backlit keyboard - with white LEDs - lets you use it in low-light surroundings and complete even the most urgent of tasks despite the late hours. The antiglare IPS FHD display is also easy on the eyes. With up to 12 hours of life in its battery, you'll get a lot of uninterrupted time without worrying about electrical outlets - and even if you need to plug in, its RapidCharge feature will give you 80% battery capacity in an hour. And when you come back, the new USB-C mechanical side docking makes it easy to reconnect at your desk.